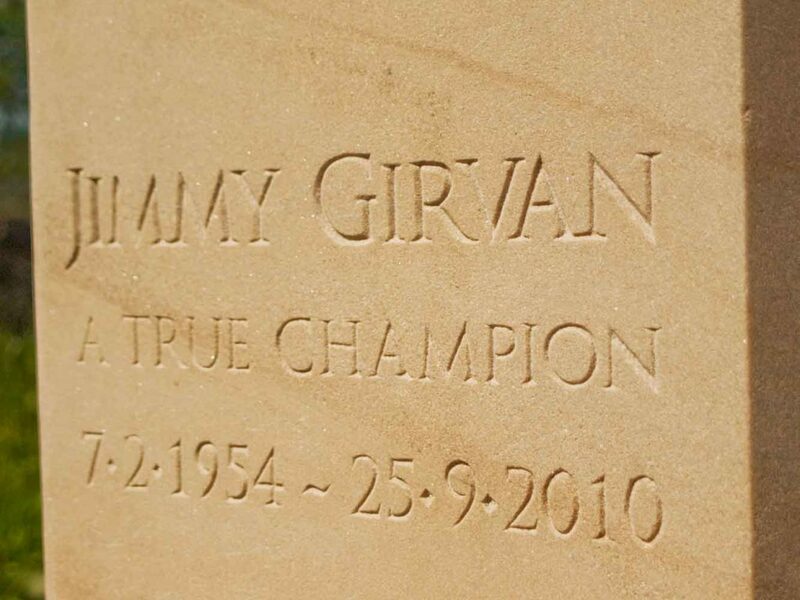 A hand-carved, Clashach sandstone headstone memorial to the Scottish Rally driving champion, Jimmy Girvan. "I was delighted... My husband would have been very proud. You could not have done better..."
"I am so delighted with my ‘Pictish’ stone, which I’ve always dreamt of having. Thank you for making it come true." "...just as I envisaged it ten years ago!"